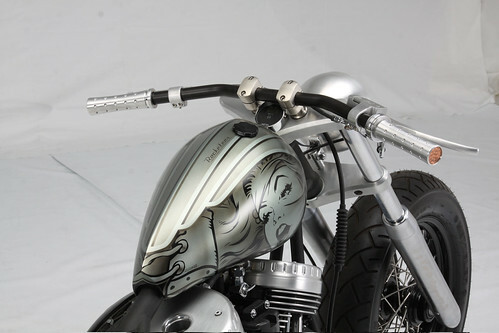 The newly designed and hand-fabricated gas tank embodies the central theme of the 2011 Rocketeer. The introduction of the bike kicked off at the 2010 AMD World Championship of Custom Bike Building. The Rocketeer takes several design cues from the 1930’s and 40’s and integrates them into a tight Bobber, which delivers a fresh interpretation on the classic bobber.